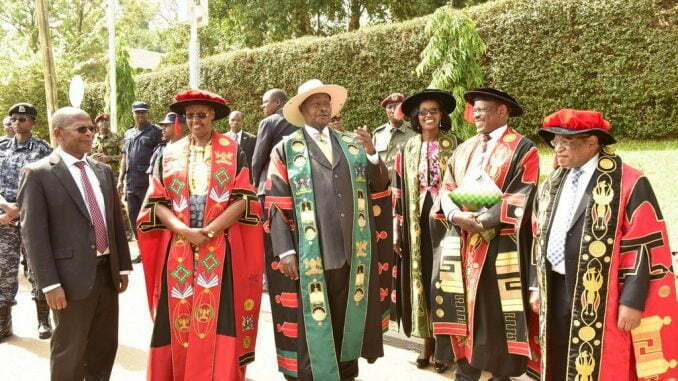 President Yoweri Museveni and First Lady Janet Museveni Officiated the 69th Makerere University graduation on 15th January 2019. Forum for Democratic Change (FDC) has said President Yoweri Kaguta Museveni and First Lady, Janet Museveni should be blamed for the current problems at Makerere University. There is a standstill at the institution following the suspension of Dr Deus Kamunyu Muhwezi, the Chairperson Makerere University Academic Staff Association (MUASA), Bennet Magara, the Chairperson Makerere Administrative Staff Association (MASA) and his General Secretary, Joseph Kalema for alleged indiscipline and inciting staff. The academic and non-teaching staff said they are laying down tools until the suspension of their leaders is rescinded. The university on December 23, 2018 also announced the expulsion of 32 staff and suspension of 13 others for absconding from duty, failure to complete studies, financial fraud, assault and actions prejudicial to the university image, negligence from duty and insubordination. These staff have petitioned the Speaker of Parliament, Rebecca Kadaga challenging their suspension and calling for a probe of the university management. 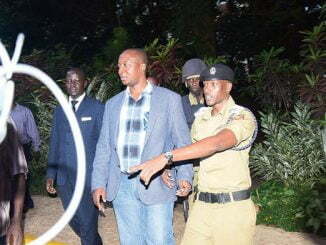 FDC spokesperson, Ibrahim Ssemujju Nganda told journalists on Monday that Museveni is trying to micromanage Makerere University through his wife and other proxies such as Tanga Odoi, Kiwanuka Kiryowa, Bruce Kabasa and Ruhinda North MP Thomas Tayeebwa. These officials are members of the university council. Dr Tanga Odoi is the chairperson of the NRM Electoral Commission, Kiwanuka Kiryowa an NRM lawyer was elected to the council in December while presence Bruce Kabasa and Thomas Tayeebwa is being contested by Makerere staff. 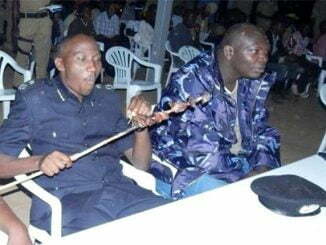 Kabasa was the chairman of the University Council Appointments Board while Tayebwa chaired University Council Finance, Planning and Investment Committee. But Tanga Odoi, a former MUASA chairperson and currently chairperson of the Makerere University Convocation, a body that brings together staff and alumni of the institution has been vocal, speaking in support of lecturers. Ssemujju says the First Lady who is also Minister of Education and Sports equally has no qualifications and experience to superintend Uganda’s education sector. He says Ugandans should not blame Makerere Vice chancellor, Prof. Barnabas Nawangwe who could be working on pressure from state agents. Ssemujju says Makerere is being run like a department in State House. He equated appearance of Museveni and Janet at Makerere’s graduation last week to a family party. Speaking during the graduation, Museveni praised Prof Nawangwe for decisively disciplining errant staff.